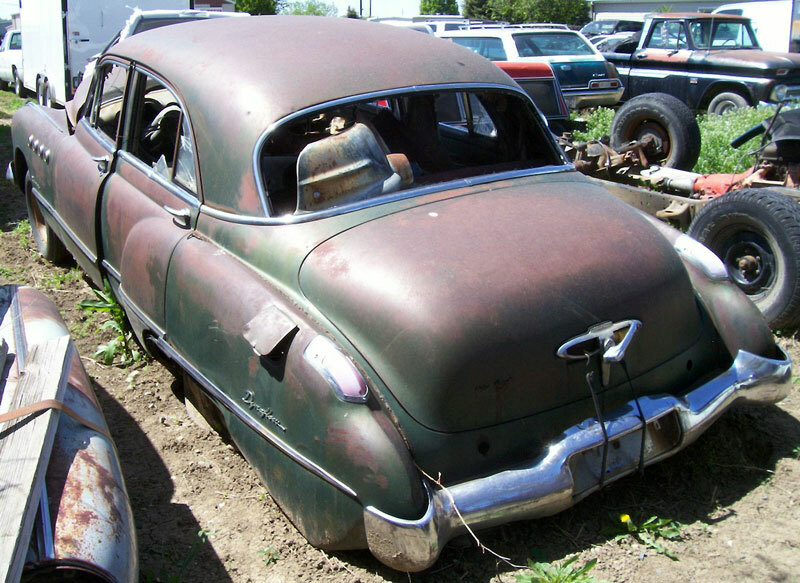 This Cirrus green 1949 Buick Roadmaster Series 70 Model 71 four door sedan is a mostly complete body and chassis ready to be restored or customized. The right front fender, rear quarter panel and side trim are dented. The center grill bar is missing. The front of the hood has a crease and the hood ornament is damaged. The fender top running light lenses are broken. There are some small dents in the front bumper. The front curved glass is good. The rear glass is gone. The left quarter panel is dented by the tail light and the side trim is dented. The gas filler door is bent. There is some rust in the front fender tails and in the bottom of the front doors. There are bullet holes in the right rear top. The trunk ornament decorative inserts are gone. The skirts are missing. The green interior is mostly all there. The seat cores are all there. 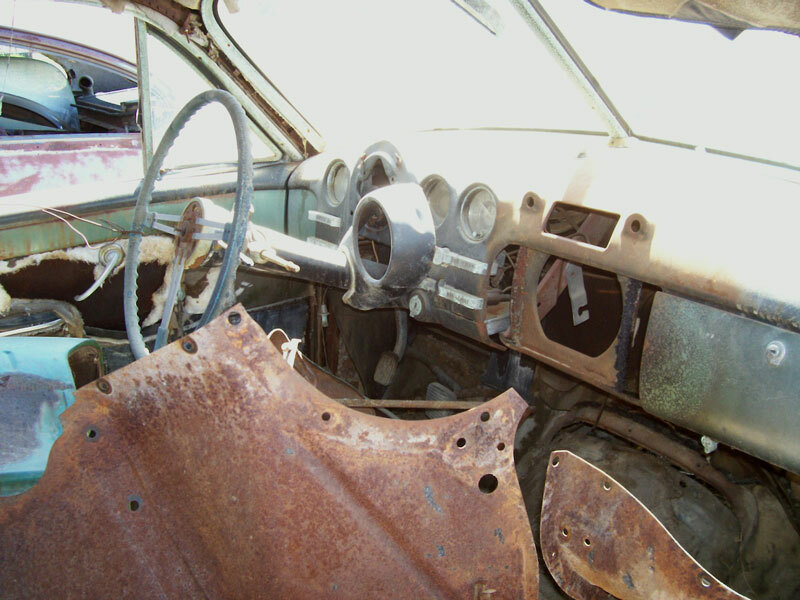 The dash and gauges are all there but the speedometer is missing and the speedo housing is loose. The radio is missing. The horn button is gone. 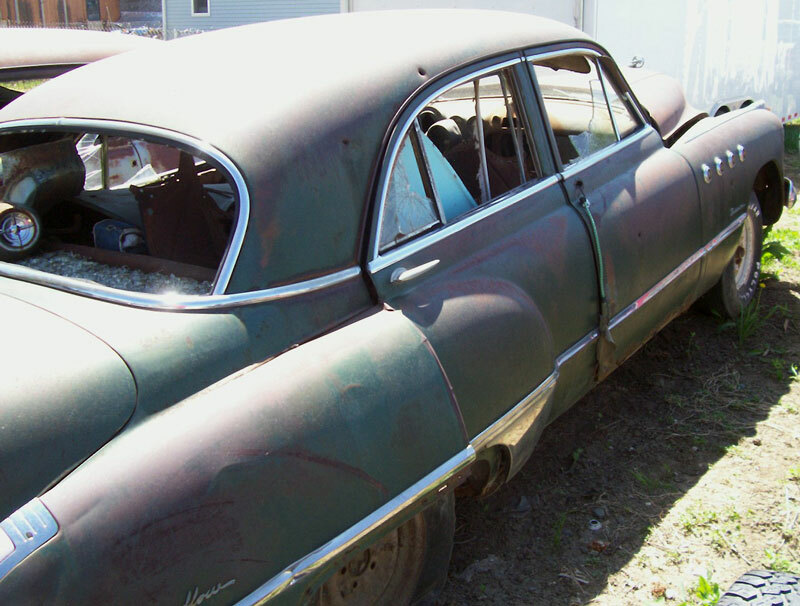 Here is your chance to restore or customize a big boat 1949 Roadmaster sedan. 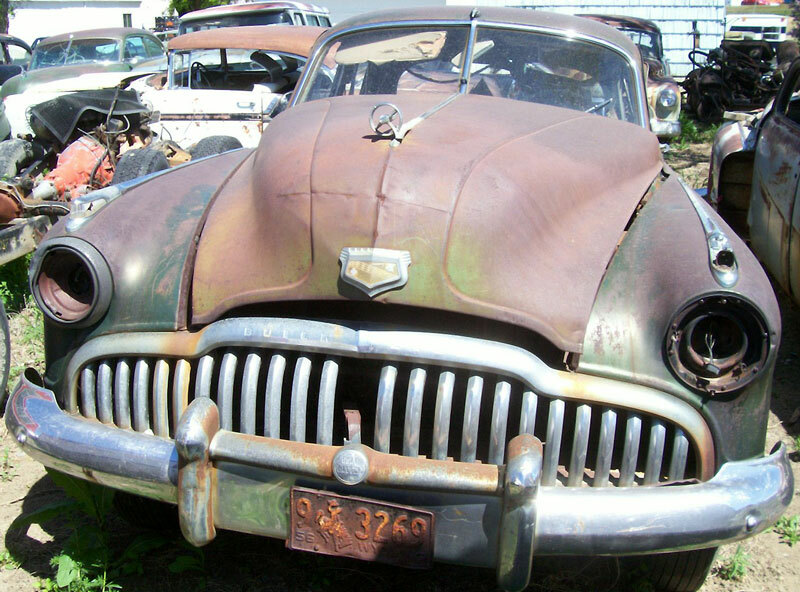 Please call (406) 318-0270 for details about this restorable classic 49 Buick project car.